You can keep posted with upcoming collections, discounts, and other info by liking the LVX Facebook Page! Also, as you see, I'm sporting stubs right now. Luckily, my nails tend to grow relatively fast so I'm hoping it won't last long! 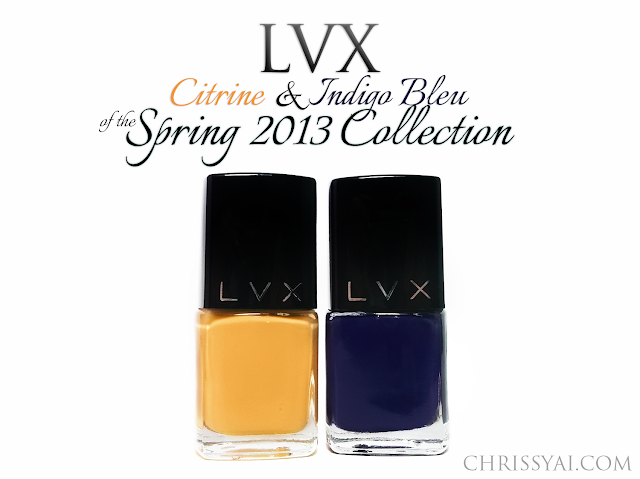 Here is Citrine and Indigo Bleu from the LVX Spring 2013 Collection! Citrine is described as a golden citrus. I feel like this kind of has a mustard look to it, but a little brighter and "citrus-y", so to speak. This was patchy in its first coat but smoothed over by the second. I feel that if you have longer nails this may be a three-coater for you. 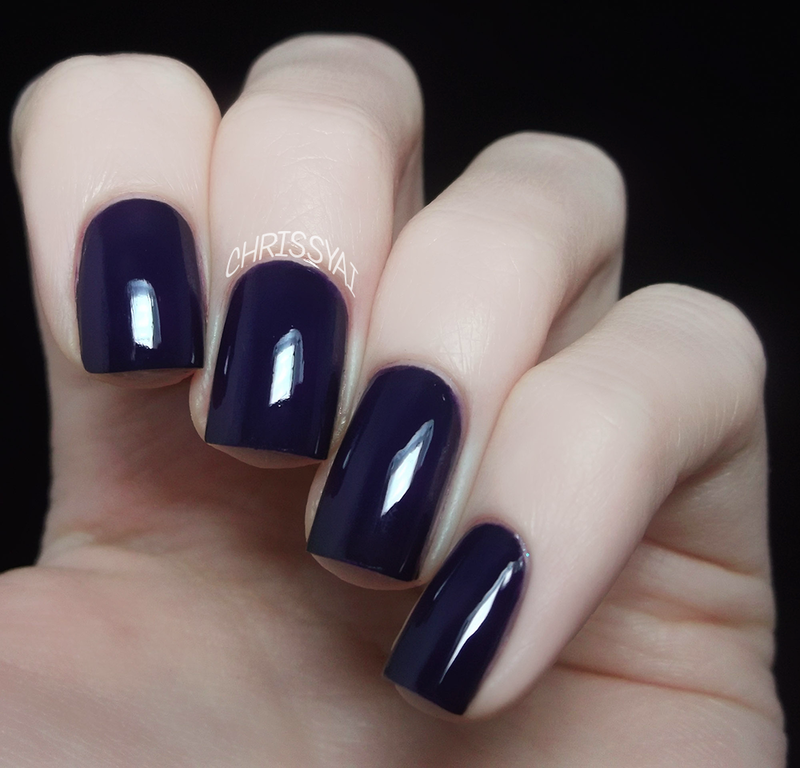 Indigo Bleu is described as an ultimate navy blue. It is, as the name states, an indigo which I feel leans more on the blue side. (How appropriately named, right?) Really loving this color! It applied easily, hardly needing two coats. As usual, application was fantastic, no complaints! Beautiful! I am loving Citrine! !